Studied: Art at Wrexham College of Art and graduated with a BA in Fine Art from Sheffield College of Art. 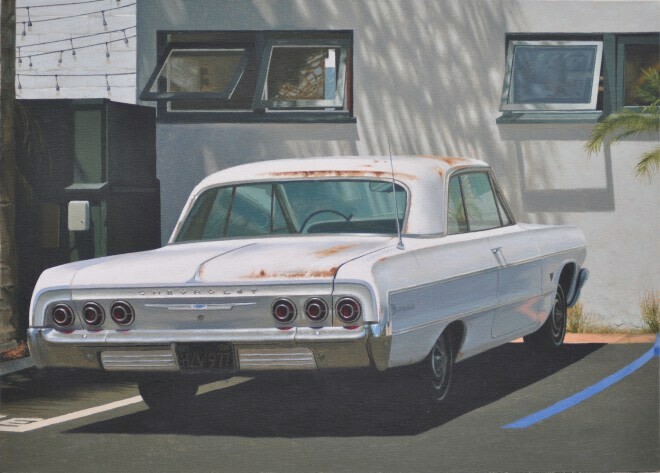 Work: In the past, Briscoe’s paintings revolved around his children and the beach near his home, however his most recent works focus more on time and place. His paintings are not an objective report on the natural world. They have heightened colour and lighting effect. 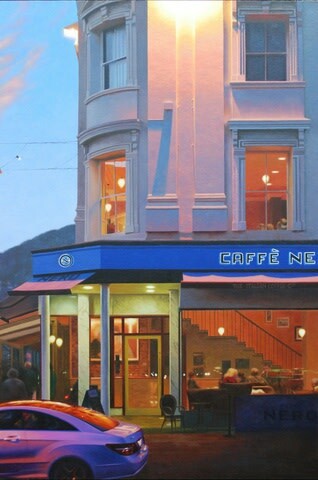 Mike Briscoe is a Welsh hyperrealist painter whose work is similar in mood to the paintings of the great American realist painter, Edward Hopper. The paintings are not an objective report on the natural world. They have heightened colour and lighting effect. However, where Hopper's paintings have figures in them waiting for something to happen, or are imbued with a sense of loneliness, Briscoe's paintings are about encounters and events. At one level Briscoe's paintings can be captivating and uplifting, but at another there is an eerie and faintly disturbing undercurrent. A conflict between absolute stillness and lively movement is frequently apparent in Briscoe's work, creating a sense of unease and the unsettling feeling that something is about to happen. 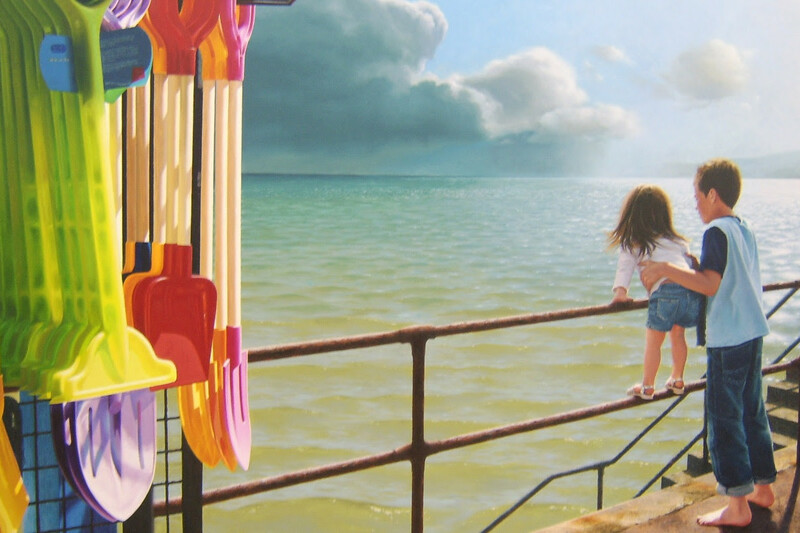 In the past many of Briscoe's paintings revolved around his children and the beach near his home in North Wales. More recently he has focused on time and place. I feel that the presence of being in a certain place at a certain time has been a big influence on my work. Most of my work is produced in oil on canvas. The images I choose are very important in that they represent the felt emotion and often relate to my close environment. The paintings become conduits of feeling and impressions of personal and experienced dramas. There is an awareness and consciousness of place or an event. The location acts as a backdrop to memories and more immediate emotions and recent experiences. My work is not a report on the natural world or a direct representation of the viewed image. I plane and move objects and concentrate on the placement of the subjects. The control of light and colour is very important in my process of painting.